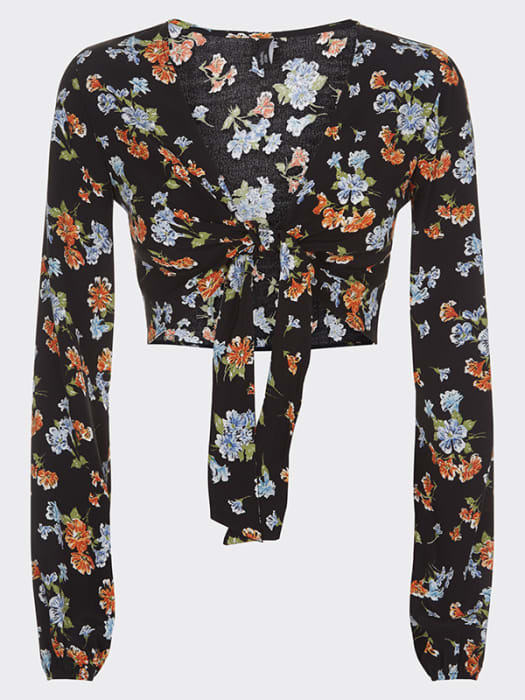 Secured at the front by a self-tie bow, this Floral Crop Top is a guaranteed head-turner… no matter the occasion! 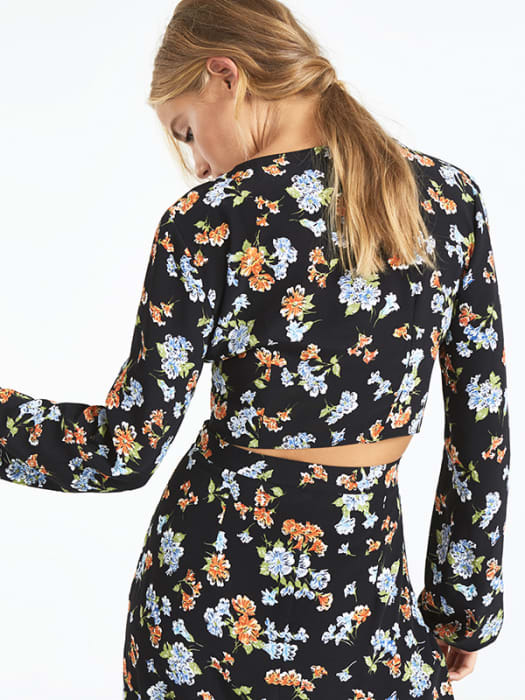 And while it works just as well with denim or culottes, those looking to make a real statement will want to seek out our matching split skirt. Believe us.